Fencing can easily transform the whole look of your garden whilst also giving you privacy and protection to keep your home safe. A lot of commercial properties can also benefit from the installation of fencing for these same privacy and safety reasons. Whether you’re looking for fencing for domestic or commercial purposes, Andy and his team provide a professional skill set with a hard working ethic to complete the job at hand. It’s difficult to find someone who will not only supply the hard work and dedication desired, but will also charge fair prices for the work they provide. That’s why Andy is proud to say his customers are always happy with the outstanding standard of work he completes, and are left feeling that they have received excellent value-for-money with his services. 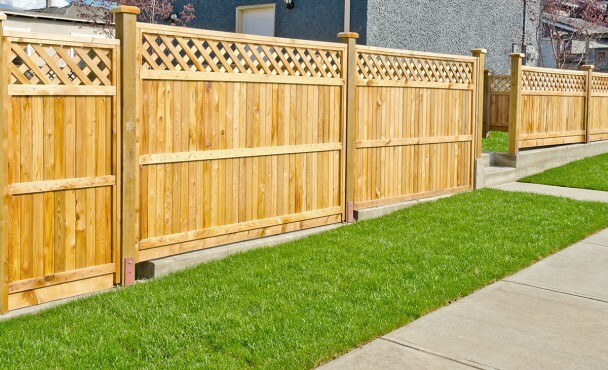 Whether you’ve been looking at wood panel fencing, metal fencing, picket fencing, gates or many other types of fencing, Andy has 30 years worth of experience that will leave you confident in his ability to complete the job to a high standard. To get a better idea of what your fencing project is going to entail in terms of time and money, get in touch with Andy for a quote or to get his opinion on any general queries you have. No matter what your fencing requirements are, Andy’s expertise will ensure that your needs are met and you are left happy with the end result, and you’ll be sure to hire him for future fencing or building projects! Andy is a friendly, approachable professional with an excellent track record with previous clients, which is a vital quality to have in someone who will be spending time in or around your home. For domestic and commercial fencing projects, contact Andy here. He’ll be more than happy to give you a quote or discuss any general queries you may have. Andy and his team are ideally located for fencing work in Staffordshire, catering to everywhere from Trentham to Kidsgrove, Newcastle-under-Lyme to Hanley and Loggerheads to Tunstall – nowhere is out of the question! If you’re looking for fencing work in Staffordshire, give Andy a call and discuss your fencing needs to see what he can do for you!